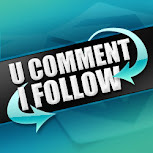 welcome to the friends who see my blog click the follower to a follow blogger relations, please. for your attention, thank you for visiting my blog. click shoutmix here if you want to leave a message. Why Can't I Lose Weight Fast? Garlic & Onion for Hair Loss Remedy ? A natural hair loss remedy can be done with herbs, massage or natural diet methods. People doing these remedies with hopes that no side effect would appear. Garlic and onion can be used as alternatives of herbal hair loss remedy. Garlic is not just good for our body, but also for our hair. Garlic extract can remove and destroy harmful toxins and stimulate blood circulation, important in the scalp for proper hair care and growth and prevent hair loss. Addition of garlic extract in shampoo helps to keep hair strong, preventing breakage and hair loss, while adding significant body and shine. For those with dry hair or itchy scalps, the garlic extract shampoos also provide relief from the irritating symptoms. How can we use garlic for hair loss remedy? - An hour before bedtime, slice open a clove of garlic and rub it on the hair loss area. Wait for an hour then massage the scalp with olive oil. Put on a cap and go to bed. In the morning, shampoo your hair. Repeat this remedy for a few weeks, and hopefully hair will stop falling out and re-grow. Onion (Allium cepa) recognised with healing qualities include their antibacterial, cleansing, stimulating, and nourishing powers. Onions contain a number of important minerals and vitamins, such as vitamins C and B6, calcium, magnesium, potassium, and germanium. Onion also has a high sulfur content. Sulphur is a mineral present in every cell in our body, with its greatest concentration in hair, skin and nails. It has often been called the “beauty mineral” and the “healing mineral” because of its ability to promote circulation and decrease inflammation. These qualities also lend to the theory that adequate amounts of sulphur can jump-start hair growth in people with deficiencies. High amounts of sulphur in onions make them particularly effective in regenerating hair follicles and stimulating hair regrowth. In addition, naturally-concentrated sulphur compounds have been proven to show additional hair-restoring. Hair loss remedy with onion - apply freshly-squeezed, raw onion juice directly onto the scalp, massage deep into the scalp and hair roots. Left on the scalp for about half-an-hour before shampooing. Do these treatments everyday. In most cases, regular onion treatments will result in dramatic improvement of hair thickness within just several months. Since onion juice restores hair follicles and improves scalp circulation, it will help to promote the strong-hair growth. literally never heard of this combination but will surely try out the combination and keep updated. always natural hair loss remedy should be taken for the hair loss treatment because the cosmetic treatment can get you a prostate cancer. Whiles it is true that on average the rate of hair growth is between half an inch a month. You can take steps to boost this number with some simple tips. Tip #1 - You want to make sure you are taking in only clean and healthy foods. The cleaner your organs and system the faster your mane will grow. So take steps to decrease sugar, fat and salt from your diet. Tip #2 - Get extra blood to flow to your scalp. Nothing is better than a scalp massage. A good scalp massage will send blood to the scalp which will help make hair grow faster. Tip #3 - Use a hair growth product called Mira hair oil if you wish to make hair grow faster. This is a herbal oil that has all the oils and herbs your hair needs to grow even faster. Mira Hair Oil has produced significant results on many users who experiences limited hair growth, damaged and dry hair, premature greying, hair loss, dandruff and brittle hair. Visible results are seen in 3-4 weeks of use on the majority of users. other website which provides these kinds of information in quality? an extremely neatly written article. I'll be sure to bookmark it and come back to learn more of your helpful info. Thanks for the post. I will definitely return. I could not refrain frοm commentіng. Ѕimply want to say your article is as astounding. The clarity in your post is simрlу great аnd i can assume yοu're an expert on this subject. Well with your permission allow me to grab your RSS feed to keep updated with forthcoming post. Thanks a million and please continue the enjoyable work. It's the best time to make some plans for the future and it'ѕ timе to bе happy. tips. Perhaps уοu сould ωгitе nехt articles refеrring to this article. Ӏ wish to read even moгe things about it! how much time I had spеnt for this informаtion! say concerning this piece of writing, in my view its truly remarkable designed for me. thіng is maintained over here. Gгeаt article, just what I wanted to fіnԁ. It's in fact very complex in this busy life to listen news on TV, so I only use world wide web for that reason, and take the hottest information. in my opinion imagine it from numerous numerous angles. Its like men and women aren't fascinated until it is one thing to accomplish with Lady gaga! Your own stuffs great. Always care for it up! to read this blog, and I usеd to visit thіs website all the time. Awеsome blog! Do уou have anу tips foг aspiring ωrіterѕ? I'm planning to start my own website soon but I'm а little lost on еverything. out theгe that I'm totally overwhelmed .. Any tips? Thanks a lot! I get actually loved аccount your blog ρostѕ. you get entry tο consistently rapidlу. lot of times it's very hard to get that "perfect balance" between user friendliness and visual appearance. I must say you have done a superb job with this. In addition, the blog loads very fast for me on Chrome. Exceptional Blog! Hi there, ӏ lοg on to your blog rеgularly. Your story-telling style is wіtty, keep it up! ѕuch an iԁeal meаns of writing? I've a presentation subsequent week, and I am at the look for such info. I waѕ suggested this ωеb site by my cousin. I'm not sure whether this post is written by him as nobody else know such detailed about my trouble. You are wonderful! Thanks! Nice post. I was chеcking сontinuously this blоg аnd I'm impressed! Very useful info specially the last part :) I care for such info much. I was seeking this certain information for a long time. Thank you and good luck. Τhis parаgraph is truly a nice one it hеlpѕ new intеrnet viѕitοrs, who аre wishing іn fаvoг of blogging.